Nuns must be of the Roman Catholic denomination. If the thought of living for God and the sisterhood that accompanies life in a convent appeal to you, becoming a nun is a possibility -- but the process is much more complex than just getting a blessing from your priest. You'll need to begin a two-year process called discernment, which allows you to get acquainted with life as a nun to help you decide if it's truly right for you. 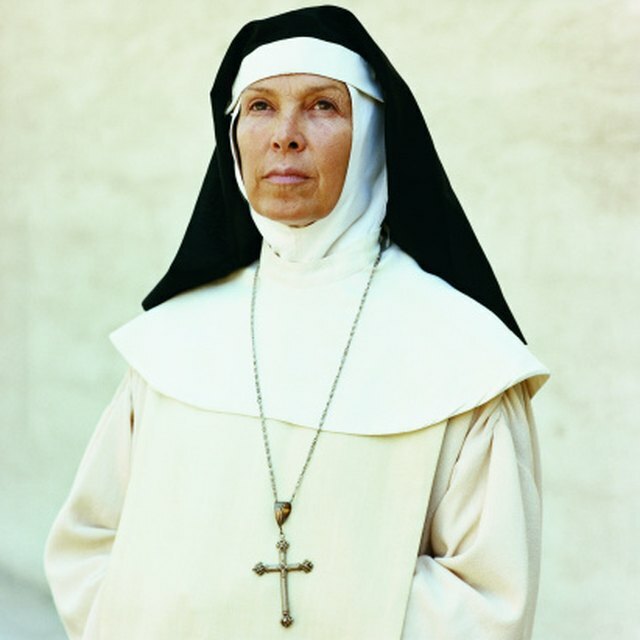 You can become a nun typically at age 21 or older. Although some decide it is their calling early on, it is never too late to become a Sister and most are in the latter stage of life. However, the rate of younger women becoming nuns is increasing. Research convents on the Internet. Many now have websites that allow you to download podcasts and read blogs or magazine articles that explain the process of discernment in which a potential nun learns about the lifestyle. You will be required to go through several phases after discernment before becoming a nun. Pray on a daily basis. Most nuns describe their decision to join a convent as a calling from God. Pray for guidance to help you discern if this is the right path for you. Seek spiritual counseling. Your priest or a nun in the leadership at your convent of interest can meet with you to address your spiritual and practical concerns. Visit convents in person. 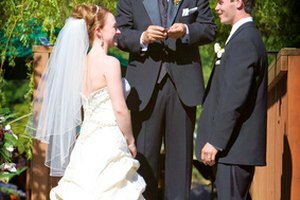 Vision Vocation Match, a website associated with "Vision" magazine, matches young people to convents in much the same way as an online dating service matches individuals. A tour of the convent and participating in its daily activities can give you a better sense of how nuns actually live. Meet other women also going through discernment. An easy way to do this is to utilize services of websites like Catholics on Call, which holds retreats and workshops both online and in person for Bible study and personal reflection. Decide at which convent you would like to experience the postulant phase, where you will be a sister-in-training. After about a year, you may become a novice nun, wearing a white veil, and beginning your study. Expect the process to take as much as nine years before you can actually become a nun who wears the black veil. 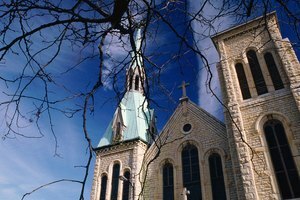 Only 1 percent of American nuns are under age 40, while more than 90 percent are 60 and older, according to the National Religious Vocation Conference. (Ref. 3) The National Office for Vocation estimates the number of women under the age 40 in training to become nuns has increased from 42 percent in 2006 to 70 percent in 2010. Do thorough research before making the serious decision to become a nun. Take your time to discern not only if the lifestyle of a nun suits you, but at which convent you feel would be the best fit for you. As a nun, you will rarely see your family members, cannot have dependents and must take a lifetime vow of celibacy. 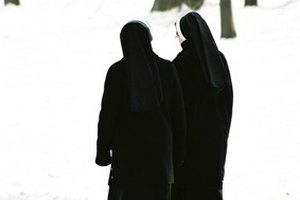 Holy Trinity Monastery: What Are the Requirements for Becoming a Nun? 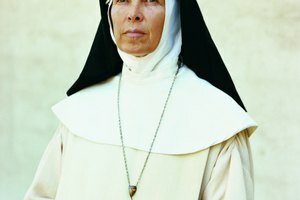 Time: So You Want to Be a Nun? Windermere, Anna. "How to Become a Nun & at What Age." Synonym, https://classroom.synonym.com/how-to-become-a-nun-at-what-age-12084804.html. 29 September 2017.